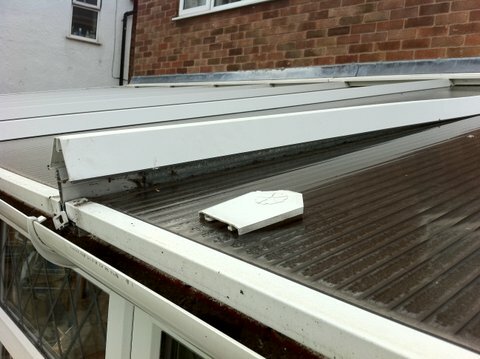 We can fix most common conservatory problems, quickly, easily, and for less than you’d expect. Whether it’s faulty french doors, misted or broken double glazing, faulty locks, handles, slipping or damaged roof panels, damaged seals, broken end caps or a conservatory leak, we’ve got you covered with our low cost conservatory repairs. Many traditional conservatory companies will often tell you to invest in an entire roof or a new set of doors, because a repair isn’t always their most cost effective solution or even within their level of expertise. 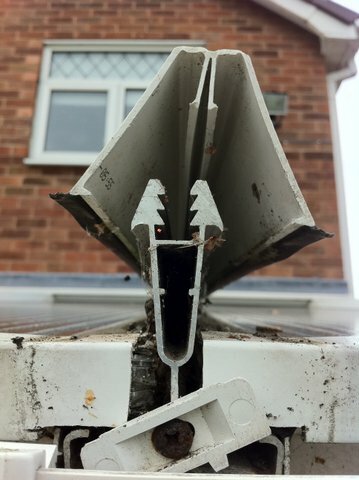 We can sort most conservatory leaks out, plus all the other things that could go wrong with your conservatory like misted-up or shattered glass, broken conservatory roof panels (whether that’s glass or polycarbonate), seized windows, faulty locks, handles, dropped doors that stick and damaged hinges & seals. The Window & Door specialist offer FREE “No obligation” surveys; there is no minimum order value, we don’t employ salesmen, and we won’t charge you for something that doesn’t need doing. So if you need a conservatory repairs or a conservatory roof repair, call us now for your FREE survey on 0800 5 118 887 or use the contact form here.